As Seattle continues to grow and evolve, residents have become all too familiar with the shuttering of cultural emblems and historic spaces in the area. In 2015, the city let out a collective sigh as the Harvard Exit joined the ranking of beloved venues that would be no more. After a 46 year run as a movie theater (and 44 as a clubhouse for The Women’s Century Club), the Harvard Exit went dark in early 2015 and is currently being remodeled into a mixed-use dining/bar/creative space according to developer Scott Shapiro. Below, you can enjoy a preview of the lights as well as any history we managed to gather. 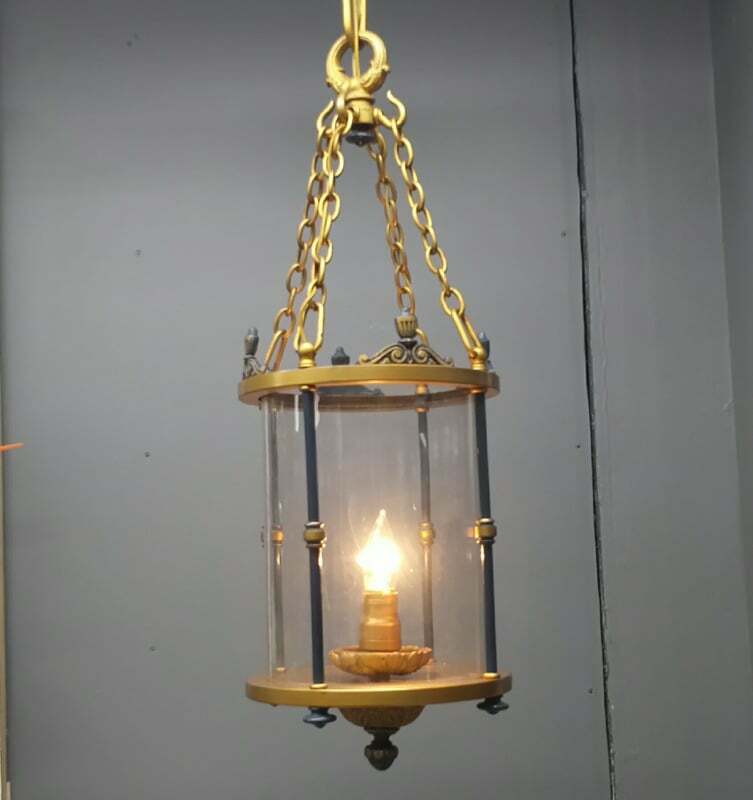 Harvard Exit Pendant Light: Beautiful ceiling pendant light with original antique brass and navy blue paint, and hand blown glass cylinder. 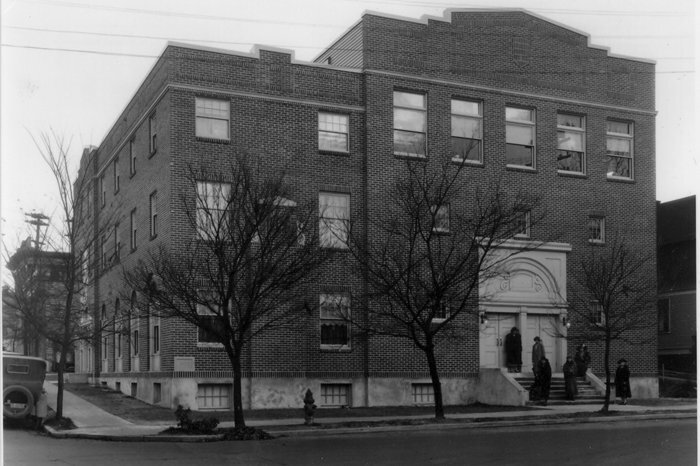 The light is original to the building that opened in 1925 as the Women’s Century Club. Restored in-house. Harvard Exit Wall Sconce [SOLD]: Stunning double wall sconce with original antique brass and navy blue paint with glass tulip shades. Shades are not original, but fit well. 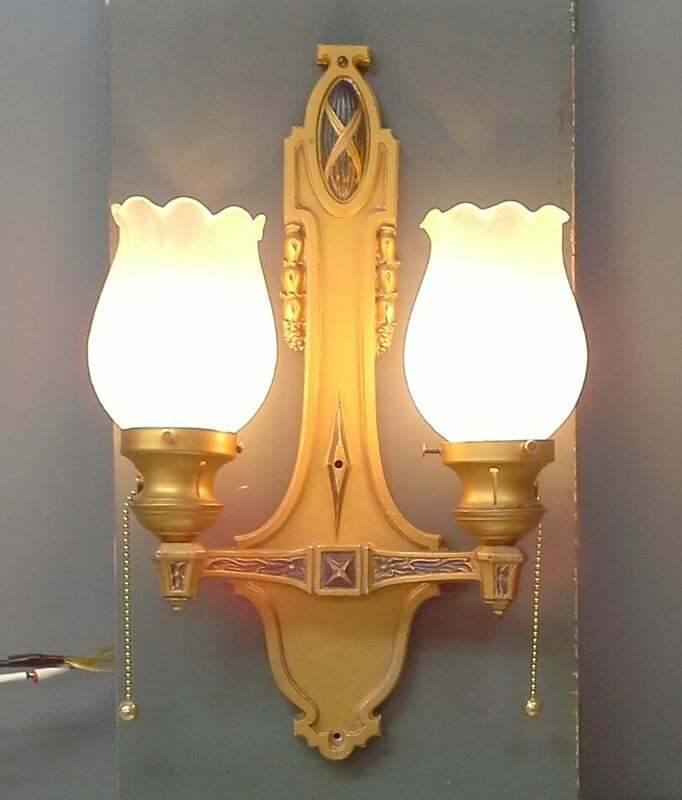 This sconce was most likely made by the Gil Glass lighting company. Original to the building; restored in-house. 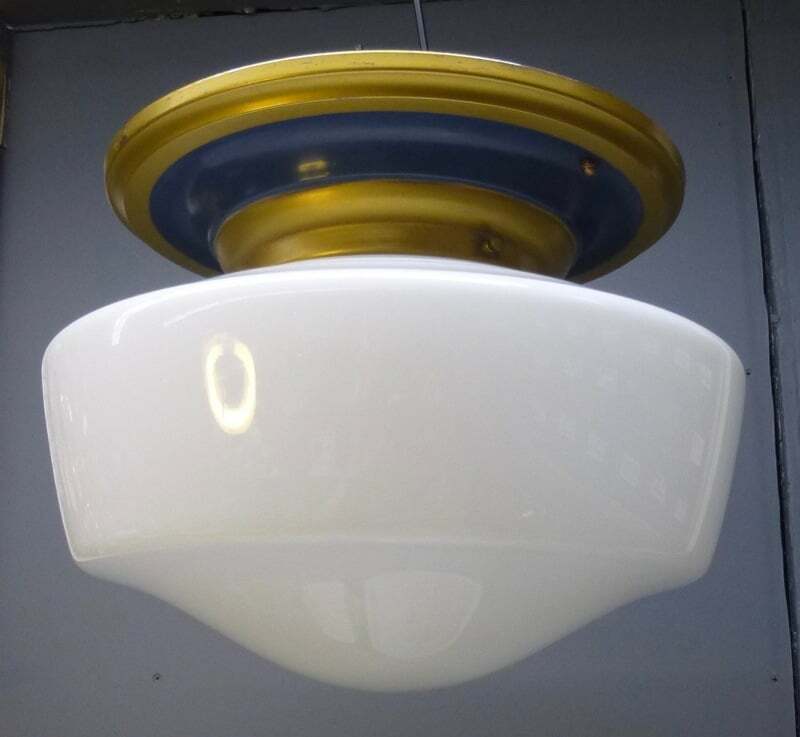 Harvard Exit Flush Mount Light [SOLD]: A white 14″ schoolhouse globe hangs from a flush mount base with its original antique brass and navy blue paint. 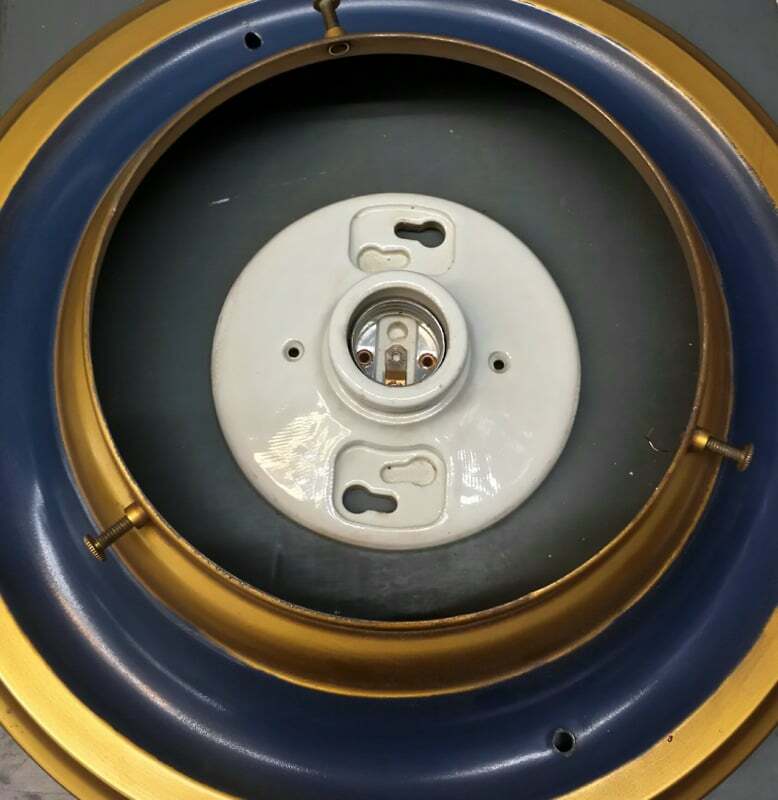 There are no guts in this light, but could easily be mounted directly over a single bulb porcelain ceiling mount socket (shown in photo). 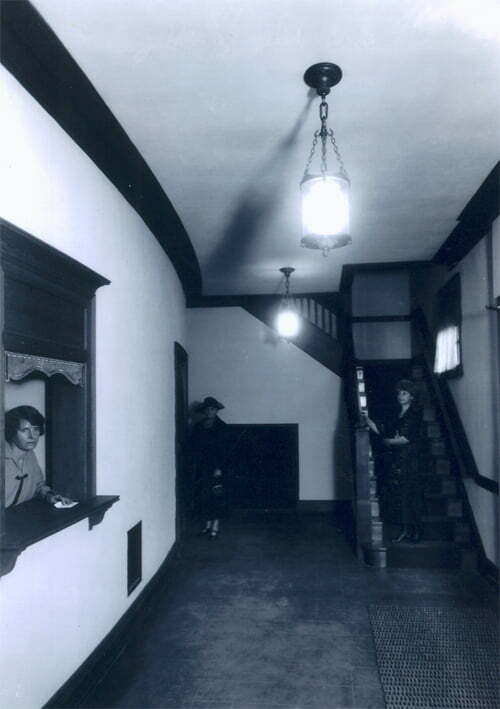 The light is original to the building that opened in 1925 as the Women’s Century Club. Restored in-house. Contact lighting@seconduse.com for more information or a quote.